Over the weekend, Gazillion Entertainment published Game Update 2.14 for Marvel Heroes. Since the launch of Marvel Heroes in June of 2013, Gazillion has released free content including new story, zones, PvP, gameplay features, Heroes and more. This past weekend’s update featured a new zone, Bovineheim, new Cosmic Terminals, Design Reviews for Captain America and Hawkeye, and the new Kate Bishop enhanced costume for Hawkeye. · Bovineheim – Somewhere in Asgard, Skrull cows are lurking and plotting destruction. Brave the frozen tundra of Bovineheim and defeat the nefarious Skrull cows to foil their plans! · Cosmic Terminals – Meant for the most experienced Heroes, Cosmic Terminals represent some of the most difficult content to date in Marvel Heroes along with an enhanced chance for cosmic loot. 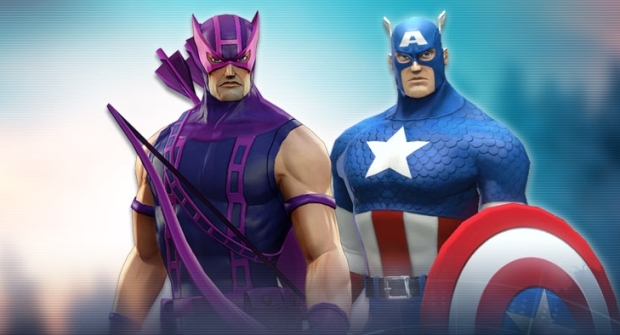 · Hawkeye and Captain America Design Review – Captain America and Hawkeye have received their level 52 Design Reviews this month, bringing with them exciting new abilities and build options! Use Captain America’s new ultimate power to assemble the Avengers for massive damage, and use Hawkeye’s Ultimate to fire a Pym multi-arrow that rains flammable oil to the ground before igniting a giant Avengers ‘A’ across the entire screen. · Kate Bishop Enhanced Costume – As a member of the Young Avengers, Kate Bishop wore this costume and took the name Hawkeye to honor the (at the time) fallen Clint Barton. This enhanced costume features all new voice over, emotes, and animations! Additionally, later this week Nightcrawler *BAMFS* his way into Marvel Heroes. Look for more information and video on his release by Friday, January 31. For the full patch notes, read here. Independent game developer ArtCraft Entertainment, Inc. today announced the kick-off of the next phase of pre-alpha testing for Crowfall.